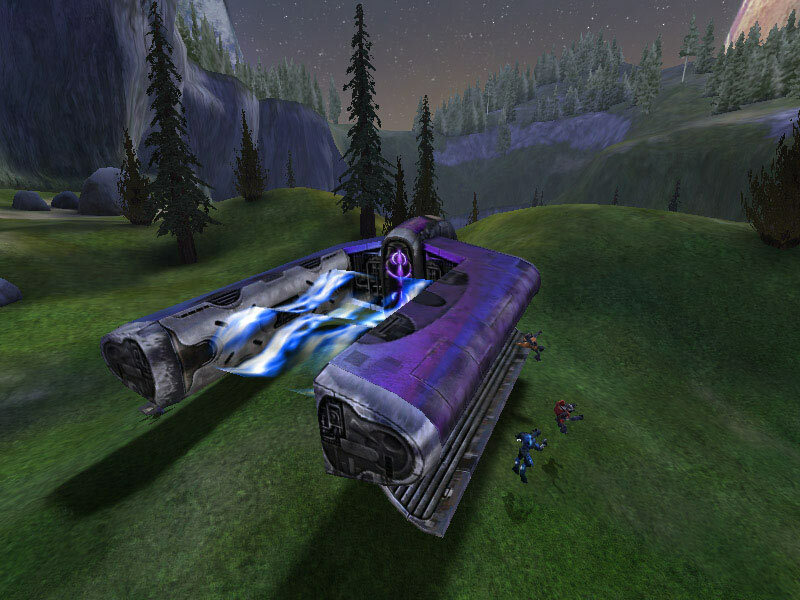 The standard Dropship is the Covenant's primary means of ferrying troops and supplies to the surface of a planet from an orbiting spacecraft. Its twin-boom design facilitates the carrying of Covenant combat vehicles such as Wraith tanks and Ghost scout craft. The vehicles are suspended within the powerful antigravity field generated between the U-shape bow hulls. It is the energy between the bows that give the Dropship it's unique energetic hum. It is an incredibly quiet vessel for its size. This is the dropship entering the starboard-aft shuttlebay of a Covenant Battle Cruiser. From here, it can load up its troops and cargo. The bay is large enough to allow the dropship to turn around within the bay's interior. 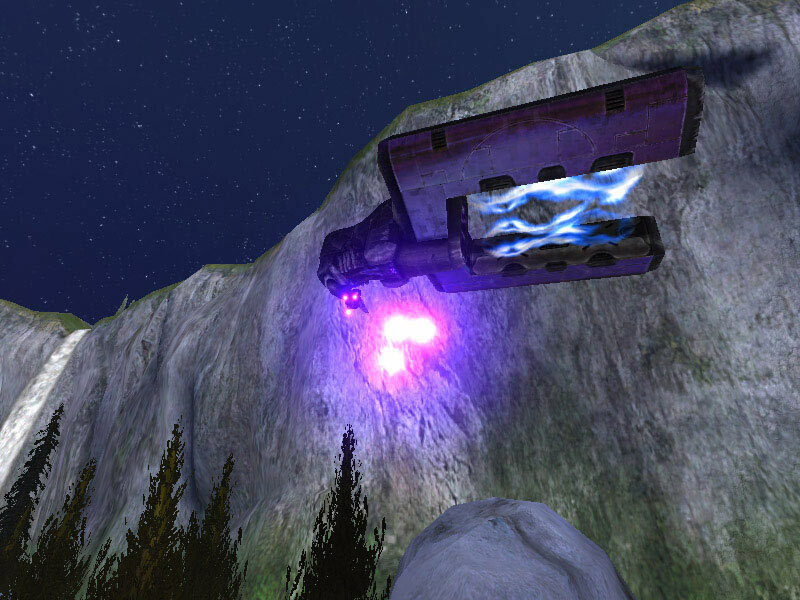 The Dropship is an trans-atmospheric craft, capable of flying through space as well as through the air of a planet. The troops carried onboard are housed within the outer halves of the twin booms. Up to 15 Covenant can be held within each hull. 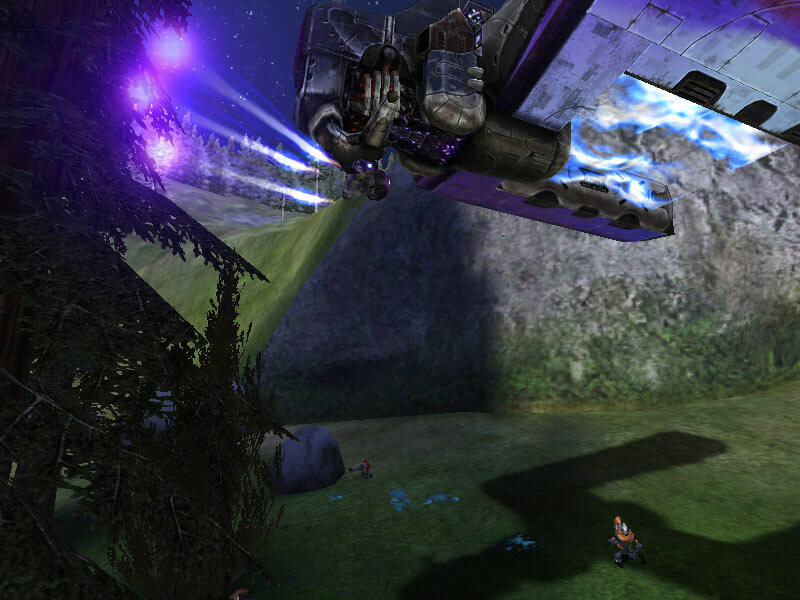 This shot shows the Dropship in a banking turn, about to disgorge its payload of Grunts. The Dropship has a Pilot console and an Ops console, both standing positions only, located in the central aft section of the vehicle. 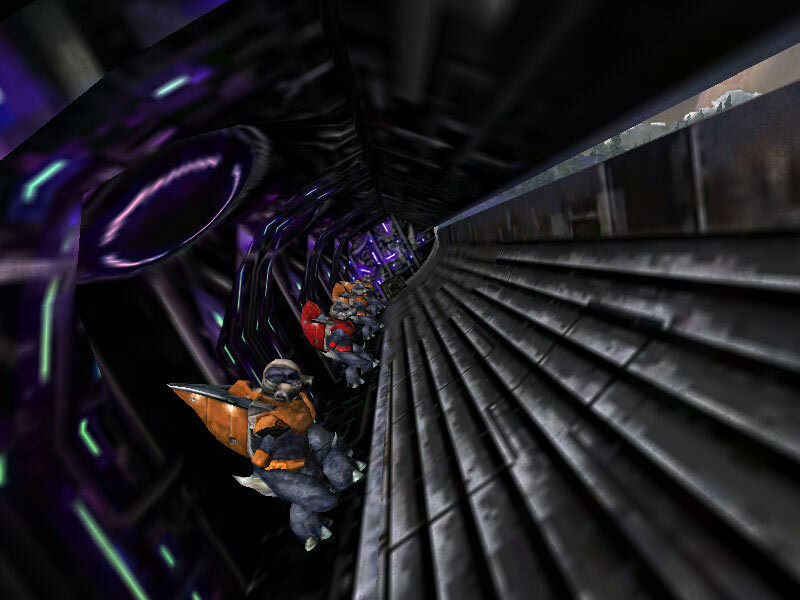 A short corridor connects the control cabin with a transverse corridor that leads to the troop bays in the booms. 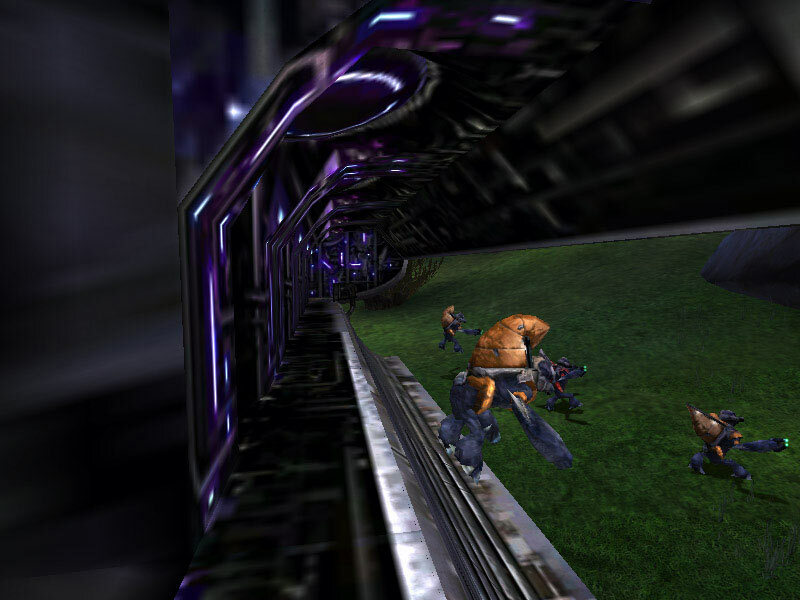 From within this transverse corridor, looking to starboard, this picture shows Grunts leaving the Dropship. 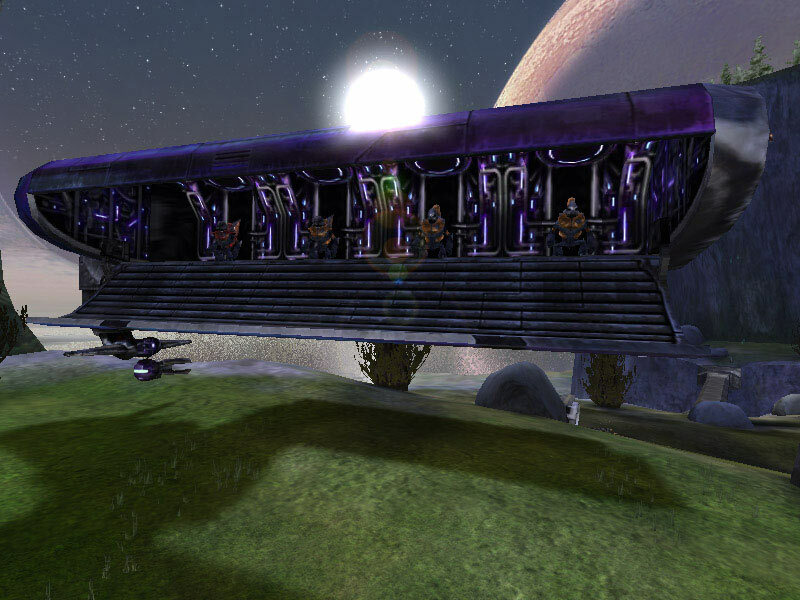 The ramp area lowers to allow the Covenant onboard to join the battle. 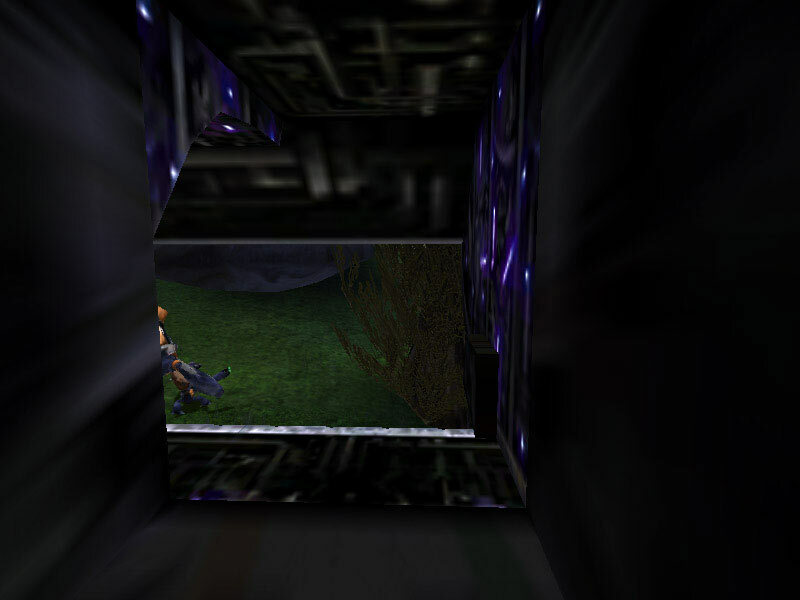 You can see to the left of the Red Grunt the dark corridor that leads to the other side of the Dropship, as well as the control cabin. This is the portside troop bay. The bay is tall enough to allow even Elites to stand comfortably. 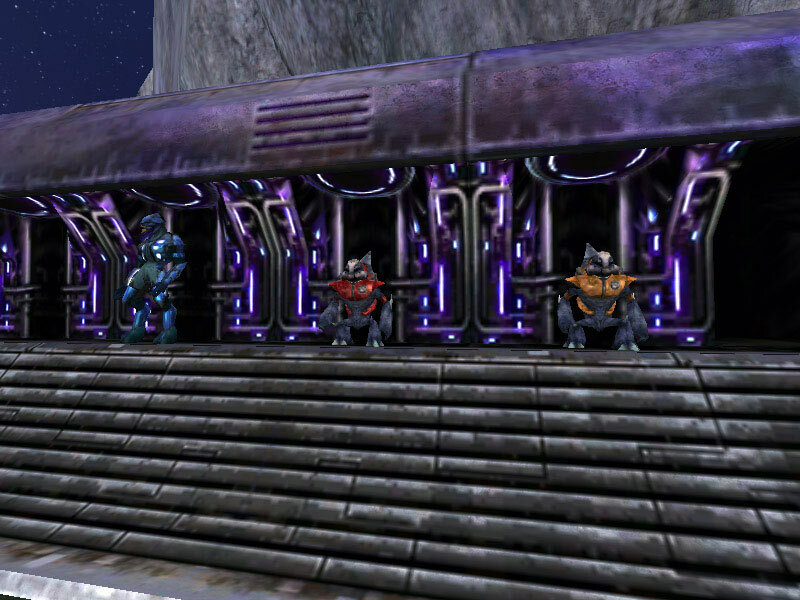 Covenant cargo containers can be held within the bay in lieu of troops depending on mission requirements. There's not a lot of standing room once the ramp lowers. This is a view from the end of the transverse corridor on the starboard side, looking forward. 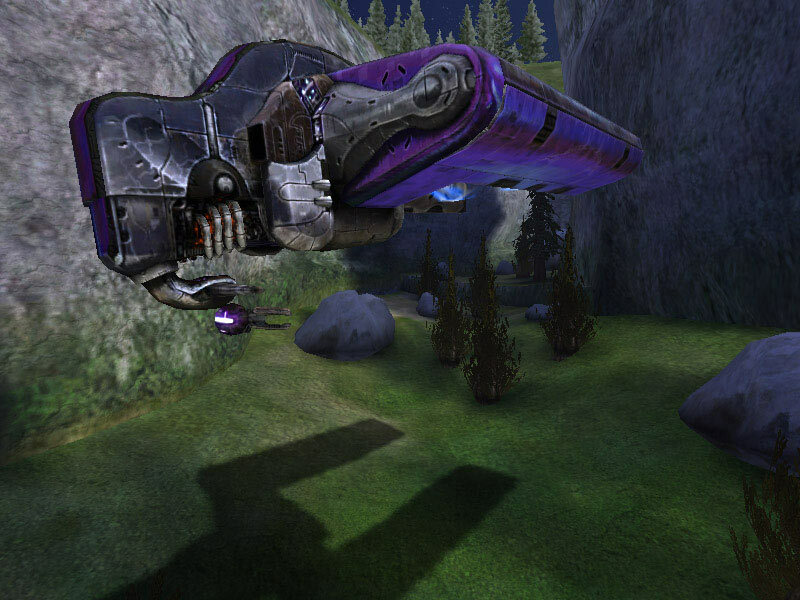 The Dropship has an armored hull, so it is not as vulnerable as it may seem when deploying Covenant. 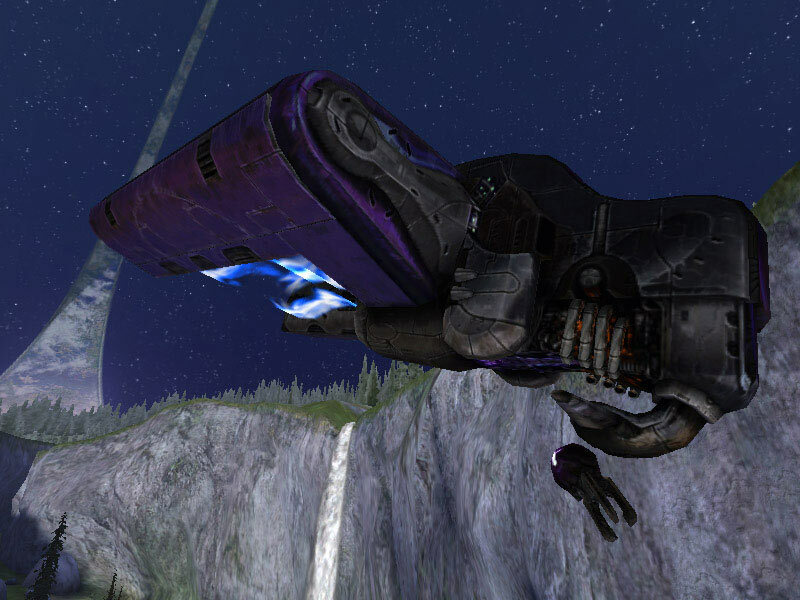 The only defensive weapon the Dropship carries is a standard Plasma Cannon, similar in size and shape to the plasma weapon on the Covenant Shade turret. It is suspended below the aft structure of the vessel and has a full 360° freedom of rotation and a large range of movement up and down as well. Here, the cannon is firing plasma bolts. More powerful than those used by Covenant Plasma Pistols and Rifles, the energy is ramped up to the equivalent of the Shade turrets. This casts the purplish glow. Plasma forms and is discharged from each of the three ends of the cannon. Each tine of the cannon is responsible for shaping the magnetic field projected with the shot to keep the plasma from dissipating. This is another shot depicting the plasma fire shot from the underside cannon. The article was spurred by my love of the Covenant Dropship, but mostly a new screencap technique! The technique involves using both the Devmode (thanks Paulus!) and Flycam (thanks bitterbanana!) apps made for the Halo: Custom Edition. Information about the dropship is taken from the three novels and some supposition based on game observations and the 3D mesh of the craft. The Dropship's speeds, capacity, pilot area, etc. are all from the Halo novels. The max. speed is based on a novel referencing the Dropship traveling at just under Mach 1. The speed of sound on Earth (nominally) is 1191km/h. - The ships overall dimensions are from the game data of the Dropship's mesh.